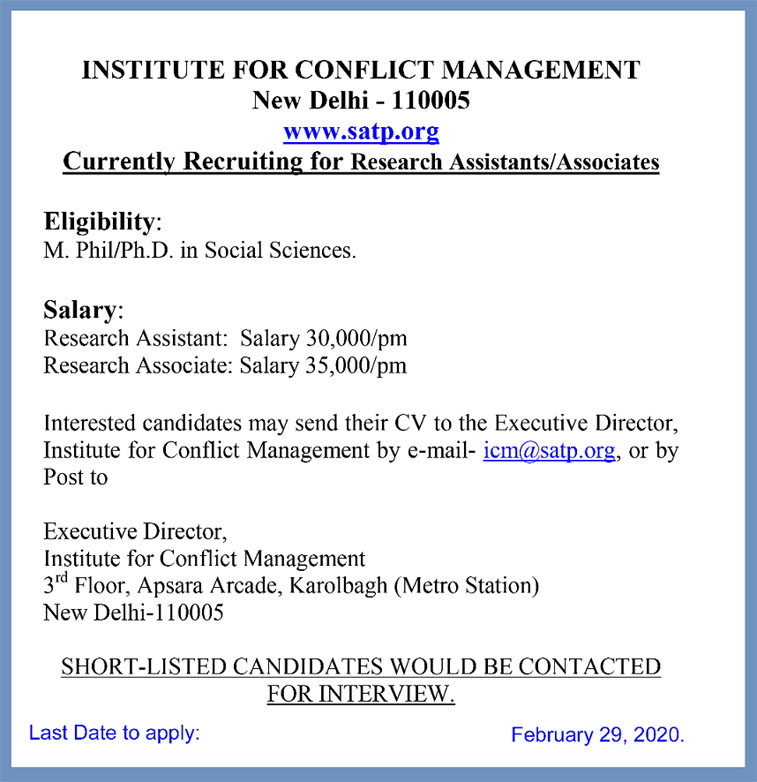 The South Asia Terrorism Portal is a project conceived, executed and maintained by the Institute for Conflict Management, an autonomous, non-governmental, non-profit society set up in 1997, based in New Delhi, India.The Institute is committed to the task of evaluating terrorist and violent movements which threaten the fabric of modern states in South Asia and recommend solutions. The Institute was set up by its current President, KPS Gill, IPS (Retd. ), who led the successful battle against terrorism in the Indian Punjab. The Institute welcomes financial assistance and support from agencies involved in the study of peace and conflict world wide, as well contributions from individuals, who would like to support this intellectual movement against terrorism. The Institute also offers research services in the area of terrorism and conflict management.